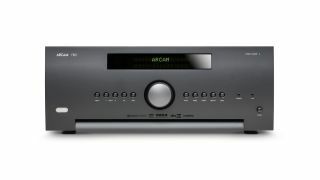 Arcam joins IMAX Enhanced home cinema certification program | What Hi-Fi? In September, IMAX announced a new licensing and certification home entertainment program, IMAX Enhanced, designed to create the very best AV experience in the living room. The program has considerable industry support to gain if it wants to compete with the likes of Dolby’s Vision and Atmos technologies, but it looks to be making a promising start. At launch, Sony Electronics, Sound United (parent company of Denon and Marantz), Sony Pictures and Paramount Pictures backed the program as the first wave of initial licensees, and now Arcam is not only joining the pack but has announced its first wave of IMAX Enhanced kit. Four Arcam AV receivers (the AVR390, AVR550, AVR850 and AV860) will be the first in the brand’s IMAX Enhanced line, and will be available to buy imminently. The receivers, which meet the ‘stringent’ performance standards set by a certification committee comprised of IMAX and DTS engineers and technical specialists in Hollywood, will be able to deliver IMAX digitally re-mastered 4K HDR content and IMAX signature sound mixes delivered by DTS. Through an IMAX Mode, the decoding of DTS:X (DTS’ answer to Dolby Atmos) is supposedly optimised to make the most of the dynamic range offered by IMAX theatrical sound mixes, and is delivered using a proprietary variant of the DTS:X codec best suited for the home environment. Arcam’s compatible AV amps will shortly be joined by several from other brands. Marantz’ AV8805 was due to receiver a free update for IMAX Enhanced in October, while its SR6013, SR7013, SR8012 and AV7705 models are due it in January 2019. The timeline for Denon’s AVR-X4500H and AVR-X6500H AV amps getting support for the IMAX technology is similar. So what will owners of these receivers be able to play? Titles haven’t been announced yet, but IMAX says it’s working to make a ‘steady stream’ of IMAX Enhanced blockbusters and programming available, with 'content announcements to follow shortly'. Considering the backing from Sony Pictures and Paramount pictures, as well as the recent announcement of IMAX’s ongoing partnership with Sony Pictures, we expect there will soon be plenty.